You’ve done the research and you know that bringing changes to the elections process for your member organization would be beneficial in many ways. Whether you’d like to include hybrid voting options such as phone balloting or try online and mobile voting, you see what’s trending and what would engage a higher percentage of your members. But how do you get your board of directors on board with these new ideas? No matter how resistant your board may be to change, the right tactics can help move the discussion forward regarding your election process. 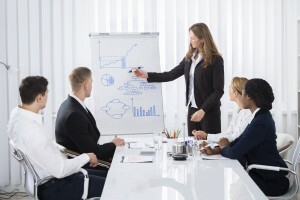 Here is a list of what to do and what to avoid when pitching to your board. Most member organization’s board members are very busy, so be respectful of their time. Wait patiently until you’re introduced as part of the agenda then keep your presentation concise and to the point. If the board already has materials or prior knowledge of the organization’s election issues, don’t plod through information everyone is aware of. Stick to what’s most important and they’ll ask questions later. Stay on topic – you’re there to share the benefits of potentially updating your organization’s elections process, not to discuss a new member benefit or the retirement of Brenda in accounting. Stay away from any controversial topics (like politics), generalities (all Millennials do XYZ) and anything potentially offensive. You want your presentation to be interesting, but you don’t want to do anything to distract from your core message. Also distracting? Any unnecessary elements of your presentation like silly staff videos, over-the-top graphics, special effects and bribing the board members with food, candy or organizational swag. There is a very small audience for jargon and it typically only includes the people that immediately work inside your organization or industry. Just use plain, clear language everyone will understand without you having to take time to explain. Check into what’s on the agenda when you’re planning to present. If the agenda is long and the topics heavy, try to present near the beginning of the meeting, if possible, or wait to present when the agenda is a bit lighter. Make sure you know the backgrounds of your board members and have an idea of what kind of information they already have on the topic of member organization elections. Know how much time you’ll have to present and stick to the amount of time allotted. If you have items you’d like the board to review ahead of time, send them a week in advance so they have time to look everything over. Keep it concise, stick to your presentation and be confident in your knowledge and advocacy for updating your organization’s voting methods. Questions are good! They mean your board members are interested in learning more about what you’ve presented. Answer questions clearly and concisely. If you don’t know the answer, simply tell the board that you will find out and be sure to follow up in a timely manner. Remember that a “no” from the board may just mean they’re not yet quite ready to go all in on a full change to the process. Suggest smaller steps, including testing new methods and surveying members, to more gradually evolve into modern voting methods. Boards of directors are ready and willing to listen as long as they’re receiving a thoughtfully prepared, comprehensive and concise presentation. Need more tips on how to convince your board to say, “Yes” to an elections process upgrade? Contact us any time, we’re here to help!